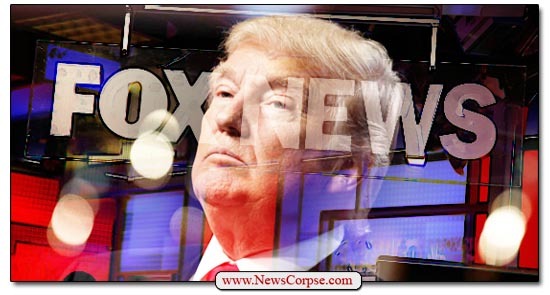 The relationship between Donald Trump and his State TV media handlers, Fox News, has been a disturbing component of his presidency since before it even began. Trump, after all, had a regularly scheduled weekly segment on Fox and Friends called “Mondays with Trump” for years before his candidacy. And since his election he has given the vast majority of his interviews (40+ so far) to Fox News. That includes his latest on Saturday night with “Judge” Jeanine Pirro wherein she asked him if he has ever worked for Russia, and he conspicuously failed to deny it. Poor Donnie is once again whining about his lonely confinement to that big, old, drafty, White House. However, his version of events is perversely distorted. This week the Democrats in the House of Representatives passed several bills to fund the government that is currently in the midst of the Trump Shutdown – the longest, bestest shutdown ever. It is Republican Leader Mitch McConnell who refuses to call the Senate into session and allow a vote on those bills. What’s more, contrary to Trump’s fictional account, most of the Democrats are in Washington working. But Trump, who is obviously paying more attention to Fox News than his presidential duties, found a story he could use to falsely malign Democrats as loafers. The article on Fox’s website is titled “Democrats At Play,” with a lede that says “As shutdown drags on, pols take chartered jet to Caribbean, see ‘Hamilton. '” So in that brief headline Fox crammed in a array of criticisms from their portrayal of this as recreation, to neglect of the shutdown, to elitist travel arrangements, to exotic locales, to exclusive theatrical events. Not bad. The only problem is that none of that is true. The delegation consisted of members of the Congressional Hispanic Caucus. They were visiting a part of the United States that has recently suffered a catastrophic natural disaster to assess recovery progress. They were in constant contact with D.C. in the event there was a breakthrough in shutdown talks. And the performances of Hamilton were being staged to raise donations for local Puerto Rican organizations still struggling in wake of Hurricane Maria. Also, that chartered jet was laden with 250 pounds of donated medical supplies. So that’s what Trump and Fox News are characterizing as a vacation with lobbyists on sun-drenched Caribbean beaches. Meanwhile, Trump continues to refuse to open the government, or to ask McConnell to hold a vote. He continues to threaten to declare a national emergency so that he can act out his tyrannical aspirations. It’s funny that this “emergency” is so lacking in urgency that Trump can posture over it for weeks as he seeks to make political points. It’s also funny that Republicans aren’t aghast at the prospect of setting a precedent that would permit a Democratic president to declare a national emergency to address healthcare or climate change – two very real crisis situations. What isn’t funny is Trump’s disingenuously referencing that “people await their pay” as this shutdown drags on. He has proven that he couldn’t possibly care less with his comments about them “adjusting” or his administration’s advice that they barter with their landlords, or take up babysitting and dog-walking, to make ends meet. And he pours salt in the wounds by baselessly asserting that the suffering federal workers support his idiotic vanity wall. They don’t. All Trump has to do is sign the funding bills that he previously agreed to sign, and that the GOP Senate passed unanimously. But instead, he chooses to obey the dictates of his masters at Fox News and regurgitate their callousness and lies on his Twitter feed for his Deplorable cult followers who will believe anything, except the actual facts that expose Trump as a narcissistic charlatan and a stooge for Russia.